Ever had that craving for juicy, delicious, fresh pineapple but never knew how to pick one that would satisfy your craving? Well, here are three simple steps to make sure that you pick the absolutely perfect one. Pineapples have lots of odd features. A lot of them can give you clues as to when it’s ready to eat like its color, shape and leaves. 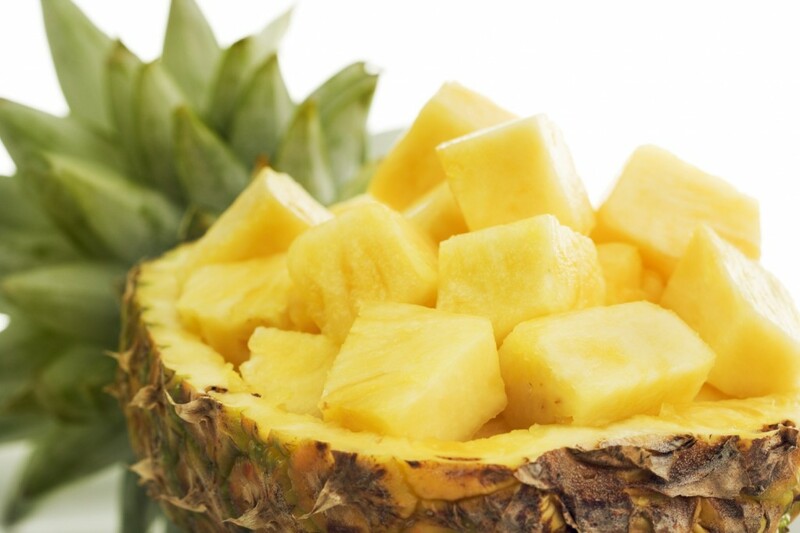 The color of a ripe pineapple will range from green to golden-yellow. 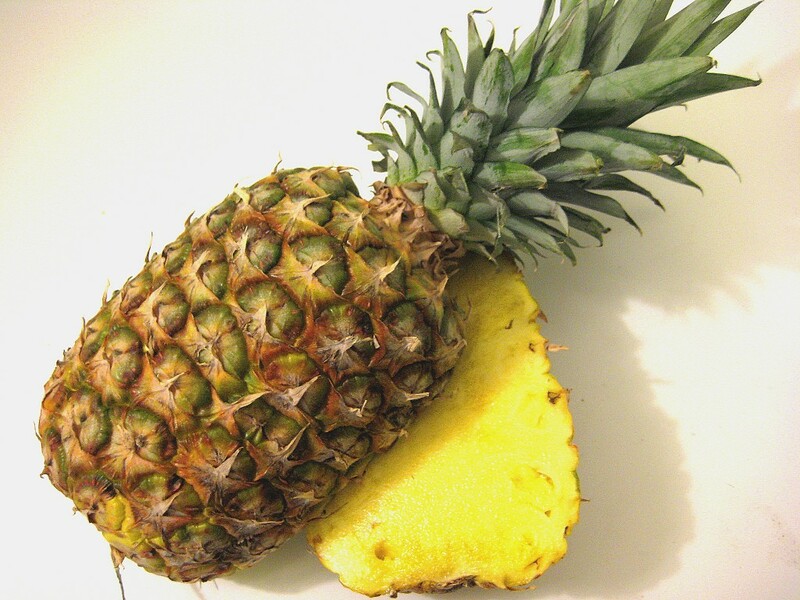 A green pineapple doesn’t necessarily mean it’s unripe, but a browning pineapple indicates that the fruit has gone past its peak and it should be thrown away. Other indicators of a bad pineapple are cracks, flaking and leaking. Who would want to eat something that looks like that anyway, right? Gross! Ripeness should also be visible in the shape of the pineapple. 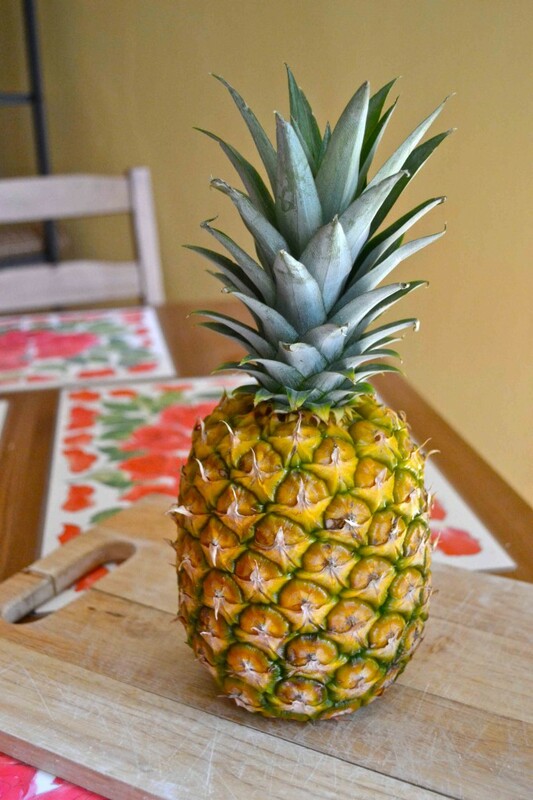 It should be rounded out and the “eyes” which are the centers of the circles on the exterior of the pineapple should be relatively flat to the body. Leaf color is the last thing to look at. The leaves should be green, not brown. This indicates a healthy fruit. Touch the pineapple all over! Squeeze it, weigh it, pull at it. Make sure it is firm (not hard) and heavy. More weight equals more juice, yum! Pull the leaves from the center of the fruit. If they are easy to pull off, this means your pineapple is ready to be eaten. If your first choice is lucky enough to follow all of the characteristics of a healthy, ripe pineapple, take it home and enjoy.